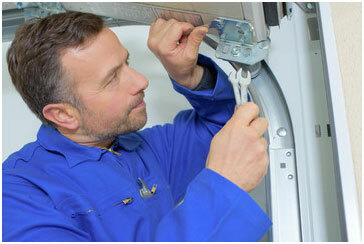 Our experts at Garage Door Pros know how important having a garage door is to your peace of mind. Which is why we pride ourselves on our garage door installation services. Whether you’re looking for a new or replacement door for your home or business, we’ve got you covered with a wide range of garage door style selections and unparalleled safety and customer satisfaction standards. For all your garage door needs, Garage Door Pros is your best bet in Miami, Florida! Installing a garage door comes with a huge level of responsibility that takes focus and determination. If you want to work with a professional to get the job done you will need to research your options. There are plenty of ways to go about choosing the right one that will not overcharge you for their services. Garage doors can be very tricky to handle if you are unsure of how to get the work done. With there being so many parts that keeps things moving you will have to keep on top of the maintenance. Finding the right company to get the job done for you should be your main priority. Choosing to overlook the importance of regular garage door maintenance will only set you back in the long run. If you want to save time and money we have exactly what you’ve been looking for. There are many styles of garage doors available for you to choose from that will get you moving on the right track. Investing into your property by expanding and installing a garage door is a smart move to make. We will work hard to keep you satisfied and are very capable of helping you achieve your goals. While its possible to install a garage door on your own it definitely is not a smart thing to do if you have no experience. You can injure yourself or others when installing. Another thing you should worry about is installing your garage wrong or missing a small part or two. 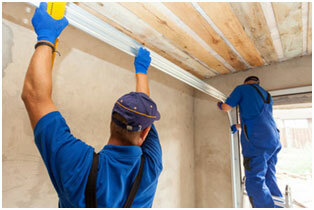 Hiring a professional team to install your garage door will prevent you from having to worry. Take your time when trying to decide on who to work with and where to begin. Down the line you will be happy that you decide to carefully choose who to hire. There are many reasons why you should avoid taking matters into your own hands. Never attempt to adjust or remove a garage door that has a torsion-spring, it’s dangerous. Call a professional garage door installer instead to help you out. If you are ready to work with us and want to achieve a high level of satisfaction now is the time to get started. If your garage door is damaged beyond repair or needs to be replaced, a new garage door from us is the answer. Taking advantage of high quality parts put together by an efficient team is a great move for you to make. When it comes to repairing a broken garage door, there are many things you will want to make sure are still intact. Replacing a broken garage door with worn out coils and springs will not be very useful for you in the future. If you’re ready to take things to the next degree with high level installation and great prices, click here. Being responsible with the decisions that you make is always a great idea. Consider working with us to help you move forward on the right track and we will get things done right for you. We offer full service, including delivery, removal of your old door, and installation. Annual maintenance is a key part of keeping your garage door intact and is a great idea if you don’t want problems. Avoid working with a company that is not capable of helping you solve any issues fast. There are quite a few ways to stay on top of your garage door issues that will greatly enhance the way it works. If you don’t want to deal with the stress that comes with having a squeaky garage door now is the time to get it fixed. Contact Us Today and We Will Be Glad to Help You Out! If saving money is your main concern and don’t want to have to pay someone to install your garage door for you here are some tips. First, you will want to clear your garage space as much as possible in order to keep things safe. Use a step ladder to reach areas that will require you to stretch. Make sure that there is adequate lighting inside of your garage at all times. Be sure to use tools that won’t break and inflict damage to parts or yourself. And last, only use high quality screws, coils, springs and bolts so it will last long. Hire a pro to release the tension on an existing torsion spring system. Once you have installed your garage door you will want to have it inspected for obvious reasons. If you hear any squeaking or screeching this can be because of a part that was installed wrong. All of the decisions you make will greatly impact how well the job will get done. Get started today and be sure to have all your ducks in the row throughout the process. This is the best time to have your garage door installed the right way so that there isn’t any chance of failure. Our job is to keep your garage door running smoothly while also enhancing your garage use experience. There are a wide range of different types of garage doors for you to choose from. Depending on what you choose to have fitted on your property will determine how well it fits. You will be amazed at how fast our team will help you and how easy it will be for you to find what you’re looking for. Wasting time by procrastinating will prevent you from being able to have peace of mind. Get your services done right and don’t miss out on a great opportunity!